Ever wondered what’s going on in SMP land? 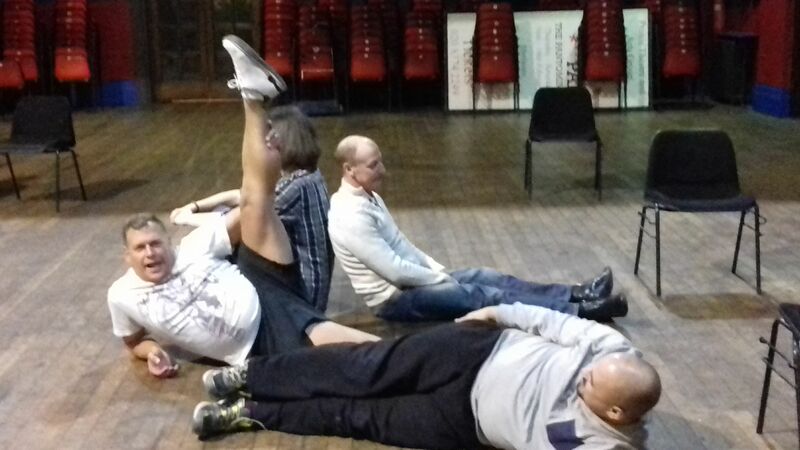 What crazy shenanigans could the cast of Saint Monica’s Players be getting up to in preparation for their hotly anticipated production of Monty Python’s Spamalot? 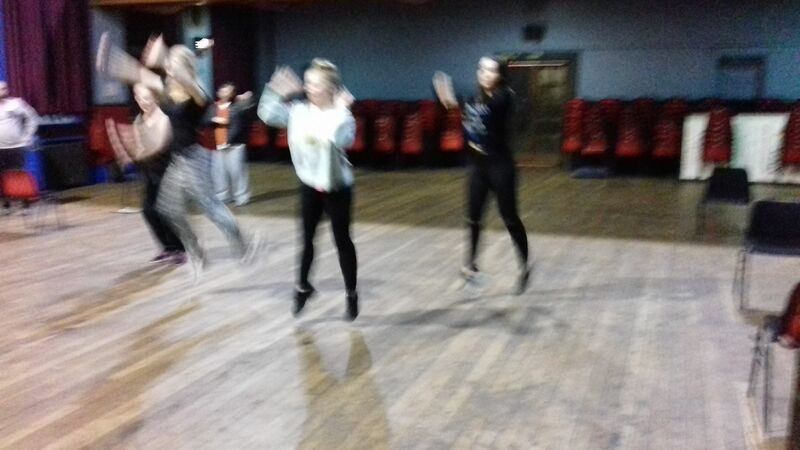 Laker Girls leap into the air as Choreographer Mrs Fay Kemal whips them through their cheer routine – boy can these ladies jump! 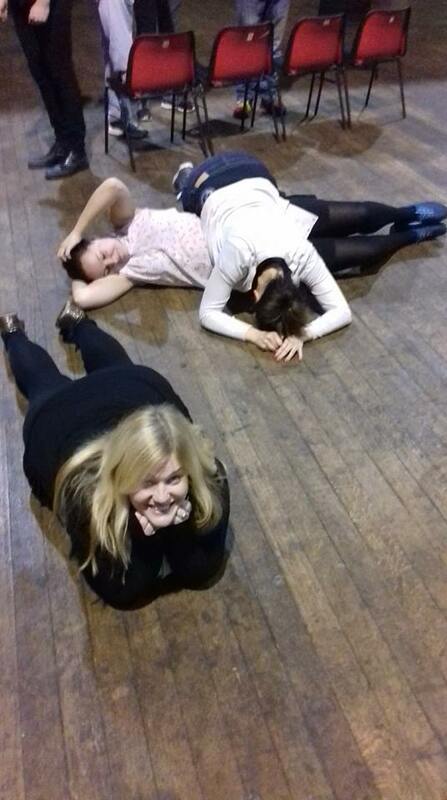 It’s all too much for some, courage friends, just 12 weeks to go, we need you for the show! 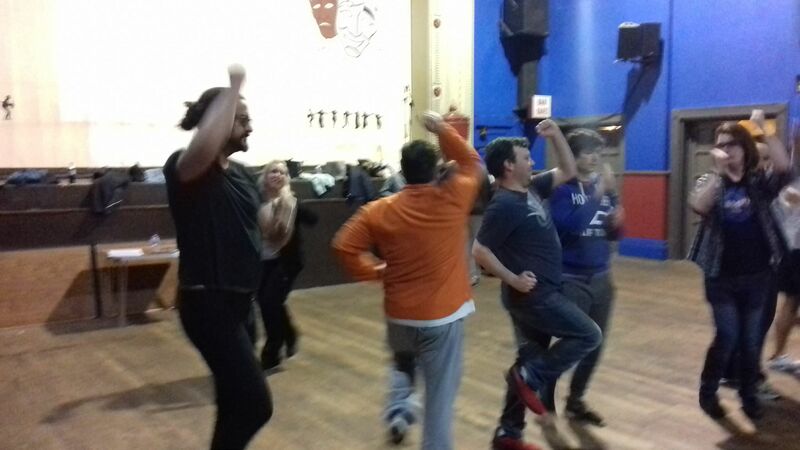 Not content to be left behind the men were busy strutting their funky stuff too – sure looks like they’re having fun! 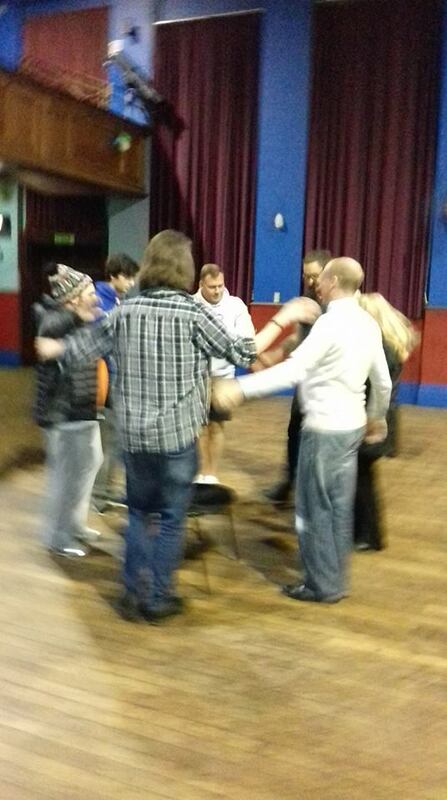 Time for a quick huddle, go team! 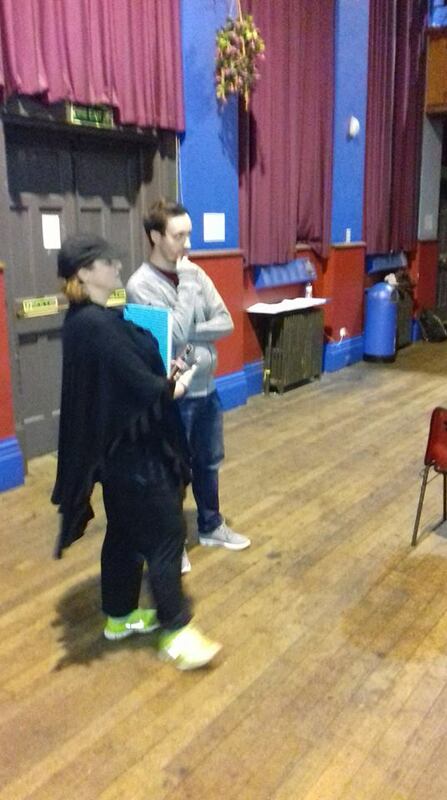 Director Paula Bland, looks imperiously on, flanked by our very own Sir Brave Robin Chis O’Shea, what grand scheme could these two be concocting to enrich our show? Crazy? Brilliant? Perhaps a bit of both! 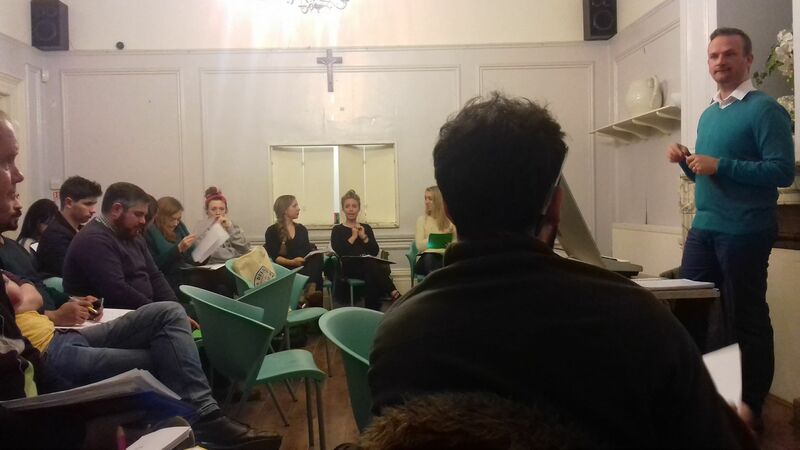 Here we see Wednesday night at Cannon House, St Monica’s Parish Centre, home to the fantastic folk of SMP for over 50 years! Maestro Stuart Piddigton-Wall puts us though are paces as the cast sing out loud and proud! 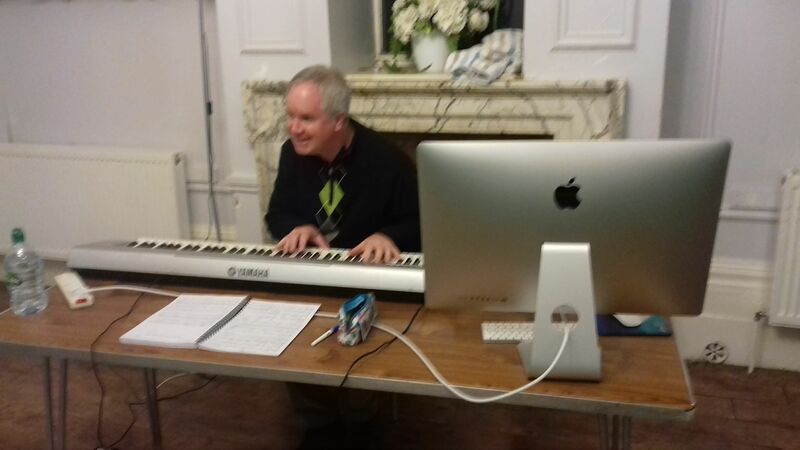 And look here it’s regular SMP MD and band member Mike ‘Keys of Steel’ Benyon, he’s trying out the desk for size, that’s not your place this time Mr B! This is a rare chance to see the man himself on stage with us, and boy does he deliver! Not to be missed! 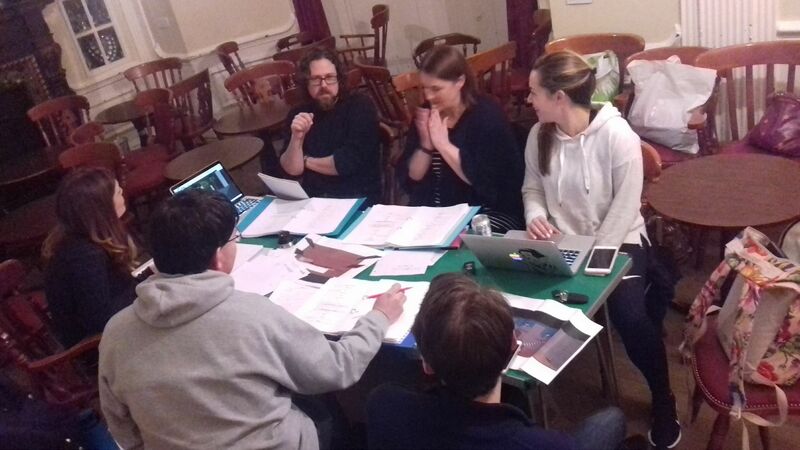 Meanwhile next door the technical team are locked in discussions, all experts in their fields, with so much talent at one table you can be sure what their planning will be spectacular indeed! This truly is the room where it happens! So that’s one week in the wonderful world of SMP! Tickets for Spamalot are on sale now, so don’t delay, book today! Get your tickets now from the link below!